The paw paw fruits have been falling in western Pennsylvania the past few weeks (if you’ve never experienced one, ask a friend to share his/her secret spot! … just kidding, that will never work). The fruits, which are actually berries, taste somewhat like a cross between a banana and a mango … no surprise, as they are taxonomically placed in the custard apple family. Beyond edibility, the native paw paw (Asimina triloba) … yes, this tropical-tasting fruit is native to the United States … is quite medicinal: the fruits, perhaps, but more so the twigs. One particular group of active compounds found in Asimina triloba includes the acetogenins. These are long chain fatty acid derivatives with a wide variety of biological activities. Research suggests that these acetogenins are cytotoxic against lung, breast, and colon cancer cells (Zhao et al., 1993). Additional research has evaluated the effects of paw paw extracts on patients with cancerous conditions. According to McLaughlin et al., “It is apparent that the paw paw extracts are an effective supplement for the regulation of cancers of various types” (2010). Acetogenins are poorly soluble in water, so a hot water decoction (tea) would not be the best method of extraction. An ethanol (alcohol) or lipid extraction would be best. To do this, crush twigs of the paw paw tree, combine 1 part twigs to 2 parts organic vodka, and let the mixture sit in a glass jar for a few weeks (I like to set extractions on the new moon, and pull on the full moon 6 weeks later). Strain, and bottle your tincture. Of course, this medicine may not be right for everyone, and by no means is the paw paw tree the long-awaited remedy for cancer. However, this may all be good information for those who actually need it. Use your intuition … that’s good medicine right there. 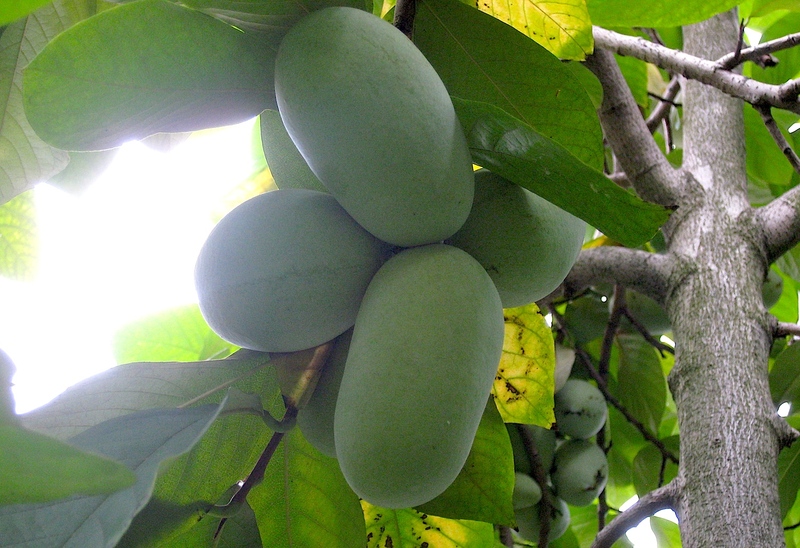 I’ll be gathering more paw paws today if you need me ….